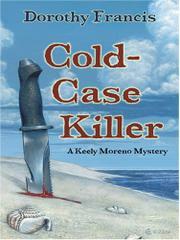 A Cuban-born reflexologist living the good life in the Conch Republic investigates a cold case. Keely Moreno wants nothing to do with helping Maxine Jackson, her cleaning lady, clear her son Randy of the murder of his girlfriend Dyanne Darby. DNA evidence has already freed scary Randy after 20 years in prison, but the hot-tempered ex-diver can’t get a job, and he wants to find the real killer. When Keely starts getting threatening letters and phone calls, her boyfriend, p.i. Punt Ashford, is drawn into the investigation. At the time of the murder, Randy was diving for Mel Fisher in the operation to salvage the famous Spanish galleon The Atocha, and he’s sure that one of his fellow divers murdered Dyanne. His plan is appealingly simple: to get DNA samples from the suspects and see which matches the evidence. But that’s easier said than done, since few are willing to cooperate. The stakes get higher when Keely is run down by a car and narrowly escapes with her life. The detecting duo manage to get several DNA samples before Punt is forced to leave Key West on another job, leaving a terrified Keely to snoop, and nearly leading to her demise when the cold case heats up. Often annoying Keely (Pier Pressure, 2005, etc.) blows hot and cold between independent woman and wimp-in-distress. The loving portrayal of the Florida Keys is more rewarding.